How does a submersible well pump work? The pump shaft is connected to the gas separator or the protector by a mechanical coupling at the bottom of the pump. Fluids enter the pump through an intake screen and are lifted by the pump stages. Other parts include the radial bearings distributed along the length of the shaft providing radial support to the pump shaft. An optional thrust bearing takes up part of the axial forces arising in the pump but most of those forces are absorbed by the protector’s thrust bearing. Submersible pumps are found in many applications. Single stage pumps are used for drainage, sewage pumping, general industrial pumping and slurry pumping. They are also popular with pond filters. 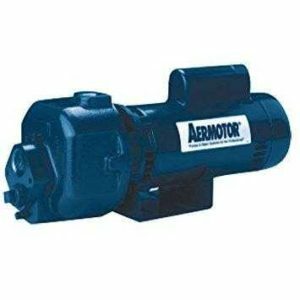 Multiple stage submersible pumps are typically lowered down a borehole and most typically used for residential, commercial, municipal and industrial water extraction, water wells and in oil wells. Other uses for submersible pumps include sewage treatment plants, seawater handling, fire fighting, water wells and deep well drilling, offshore drilling rigs, artificial lifts, mine dewatering, and irrigation systems. applications. Heads to 1000 feet and capabilities to 35 GPM. Built to deliver long-term, trouble-free service. Call and speak to one of our helpful staff members now or send us an email.